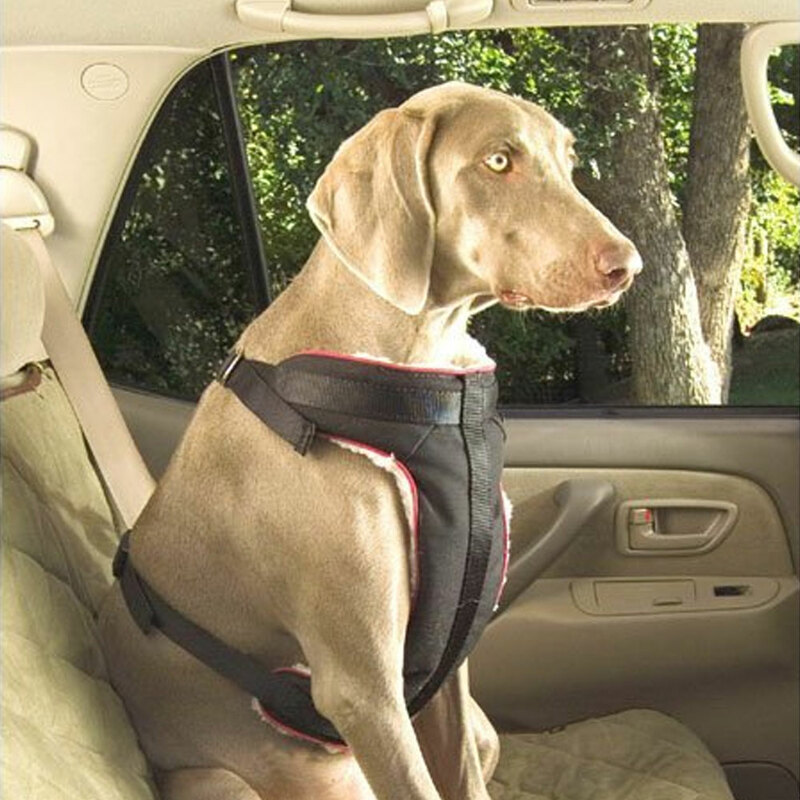 The Solvit Pet Vehicle Safety Harness is designed with your pet's safety and comfort in mind. Heavy-duty straps attach to a fully-padded, fleece-lined safety vest, and we use only FULL METAL connectors at all the load-bearing points - no plastic buckles here like others use. The safety leash is made from a special material that is strength-rated, but provides a slight amount of stretch to absorb shock in the case of a sudden stop. Our unique leash design integrates with the vehicle's seat belt tensioning device, thus providing range of motion while traveling, but in the case of a sudden stop it locks in place to keep pets secure. This design also makes it easy to load and unload your pet, and installs easily in ALL vehicles. Use of a vehicle safety harness improves safety by reducing potential distractions for the driver. The fleece-lined vest is also washable.